2018 Land Pride PFL3042 for sale in Norfolk, NE. 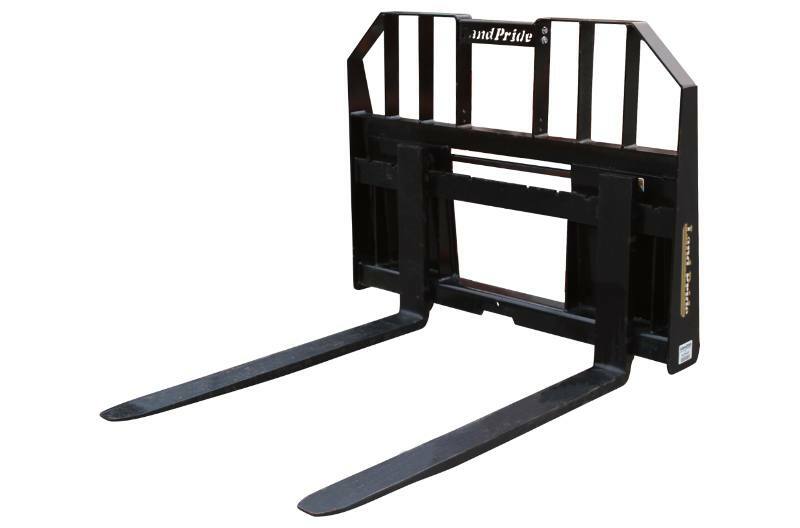 Dinkel Implement Co.
Skid/loader mounting plate and Euro style hitch plates: The Plate Mounted Pallet Fork can be attached to a wide variety of machines. Note: All PFL series are offered with skid/loader mounting plates. The PFLE Series offer the optional Euro style hitch plates. Tall rear guard: Keep loads from slipping backwards. Attaches to power equipment easily: Uses skid/loader mounting plate design or Euro style hitch design for quick and easy attachment. Easy adjustable: Forks slide easily on carrying bars from one position to another. Simply rotate locking handles up and slide forks to their new positions. Rotate locking handles down to secure forks in their new position. 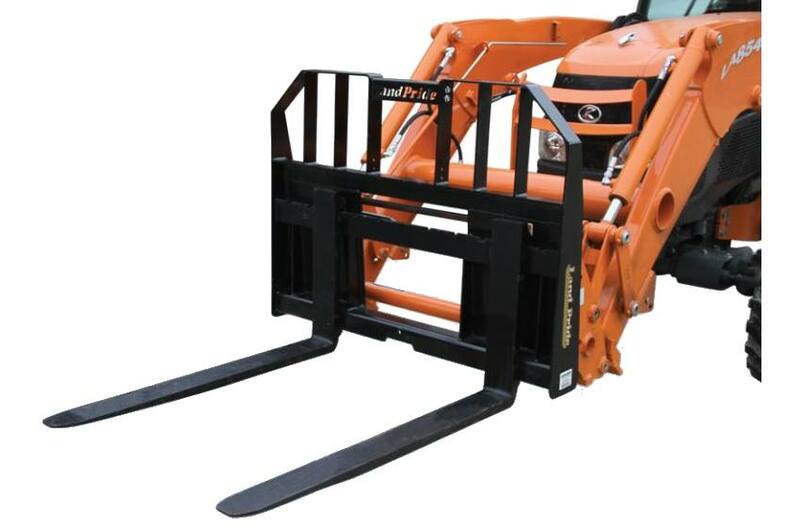 Five capacities & three fork lengths: Meets most needs for low cost fork lift handling on customer owned skid steer loader with skid steer mount or front tractor loaders with either a skid steer mount or Euro hitch. Weight - Skid Steer Style: 340 lb. Frame Width: 45 7/8 in. Frame Height: 37 1/2 in. Tine Thickness: 1 1/4 in. Lift capacity is based on load being 24" from face of Frame (Cross bar). Load must be palletized and supported by two forks.